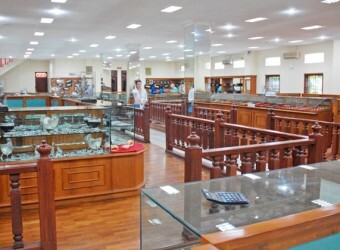 Bali Souvenior Shop Sari Dewi is a popular gold and silver shop located in Celuk Village a famous village that is renowned as a center for home-based gold and silver jewelry manufacture in Bali. The shop is visited not only by Japanese but also tourists. This huge shop displaying a vast array of gold and silver jewelry as rings, pierces,etc..and so on in various designs and styles. I always buy accessories as souvenir in the travel destination. And I decided immediately to buy a beautiful and cute necklace with a small gamelan ball in Balinese design.